The perfect conclusion to an unforgettable modern-day fairy tale. It’s simply a beautiful love story. I’m simply in love with this series. It felt both like a fairy tale and like real life. It had moments of heartache and moments of happiness… moments of longing and moments of trepidation as I saw the struggles between Keri Ann and Jack unfold. 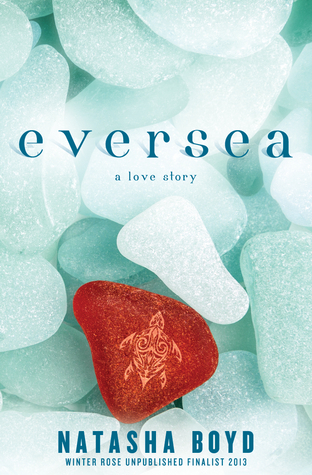 Eversea ended with a cliffhanger and my heart hurt deeply for Keri Ann after the shocking news that shattered a beautiful relationship just beginning to blossom. It’s now five months later and both Jack and Keri Ann have taken different paths. Keri Ann has flourished amidst heartache, using the experience as a wake-up call to live life and follow her creative dreams. Meanwhile, Jack has endured a much publicized breakup which was subsequently followed by an equally notorious escapade through England where he was constantly photographed surrounded by women. The hurt that has become a dull ache is suddenly throbbing, however, when Keri Ann unexpectedly comes face-to-face with the beautiful Jack Eversea once more … determination sharp and intense in his piercing green eyes. He’s come back for Keri Ann. Old wounds flay open and all the progress made with the impossible task of forgetting Jack suddenly shatters with his words … his gaze … his touch. She’s can’t risk such crippling heartache again. After months of mourning the relationship they had and struggling to get past the betrayal she felt, she’s finally paving her own future. It’s also clear, however, that despite her best efforts, she never forgot him. So much has happened since Jack left Butler Cove. Both of them are irrevocably different and it’s uncertain whether they can rekindle the fire that burned so brightly then. 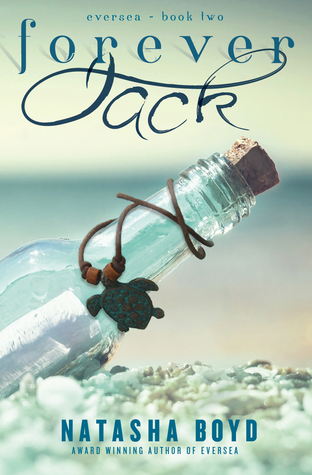 Jack is a man in love, however, and he’ll stop at nothing after everything he’s had to endure. Keri Ann doesn’t know the real story of what transpired during their time apart. Jack’s had nothing but time to think about what they had. Think about Keri Ann. He was caged by the memories of their brief, but beautiful time together. He had never been happier. Seeing Jack so in love and so focused on getting her back filled all the crevices of my heart. I didn’t think it was possible, but I fell in love with him even harder. Jack Eversea was a hopeless romantic who’s convinced he found his soul mate in a small seaside town and he’s not about to let her go. On the other hand, Keri Ann has also suffered redirecting her emotions to focus on her own future. Now that Jack is back, and despite of the feelings she knows he feels, she’s not sure whether she would compromise who she is to be in a relationship with Jack. A life beside him is a life lived under the lens of the camera, under the continuous scrutiny of the public. Is that something she could handle? In addition, would she forever reside in his shadow, known only for being his girlfriend, and not for being the person … the artist … that she is endeavoring to become. This book is really about Keri Ann’s personal growth. She must figure out what she wants, what’s she’s willing to fight for. Would she follow her heart and be with the man she loves come what may? Would she be her own woman and fight for her career, her future, her own small slice of fame as an artist? Or was there a compromise that would allow her to have it all? Her concerns were valid and I wholly felt her emotional turmoil, particularly as Jack bared his heart and soul, laying it all at her feet for one more chance at a love that could change their lives forever. I’ll say it again… I loved this book so very much. I was consumed by every moment, feeling all the heartache and all the conflicting feelings as if it were my own. It was a perfect sequel in every way and a love story I won’t soon forget.